J. Patrick Lannan accumulated over 5,000 pieces of contemporary paintings and sculptures. Some of them were housed in the Lannan Estate in Palm Beach and some in the Lannan Museum on Lake Avenue in Lake Worth. 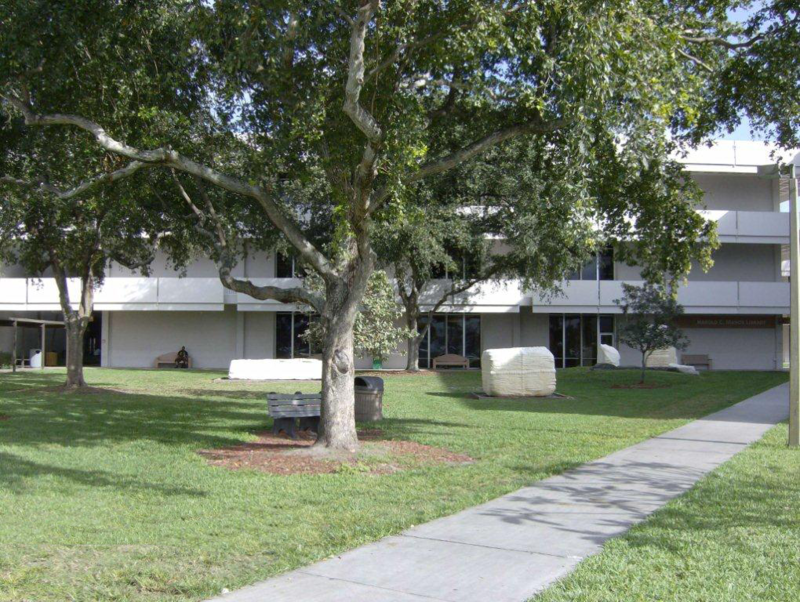 At the time of his dealth Mr. Lannan was considering building a large museum on this campus [PBJC Lake Worth] to house the entire collection and future acquisitions. 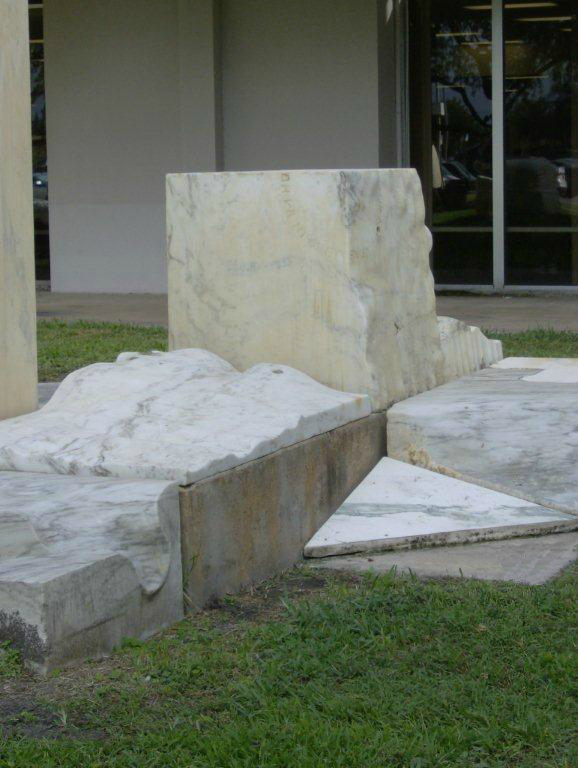 The [Lannan Foundation] board decided to keep much of the sculptures in South Fla [upon Mr. Lannan's death]. The donations to PBJC [for this garden ]were four works by three artists, two Germans and one Japanese[Karl Prantl, Erich Reischke and Yasuo Mizui]. All of these works were commissioned by Mr. Lannan. The artists executed the works in Maine [maybe Vermont?]. 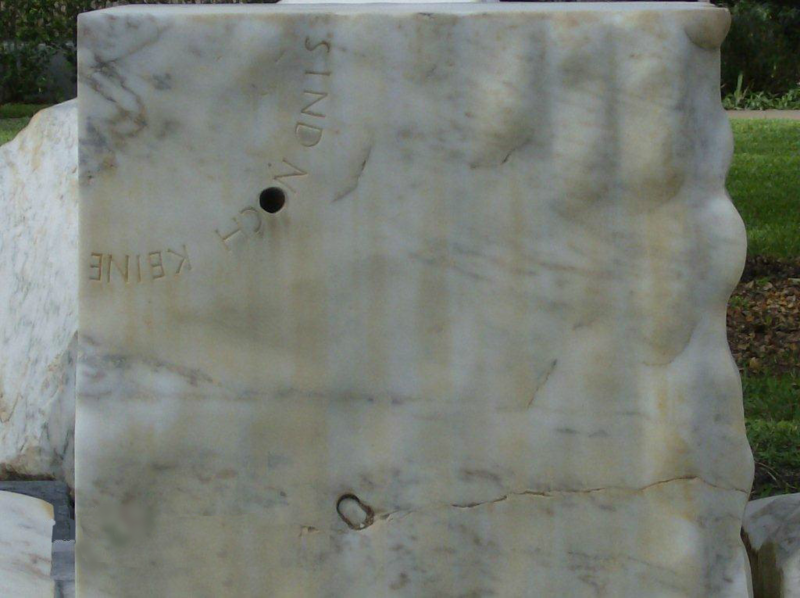 All the marble is Maine marble. 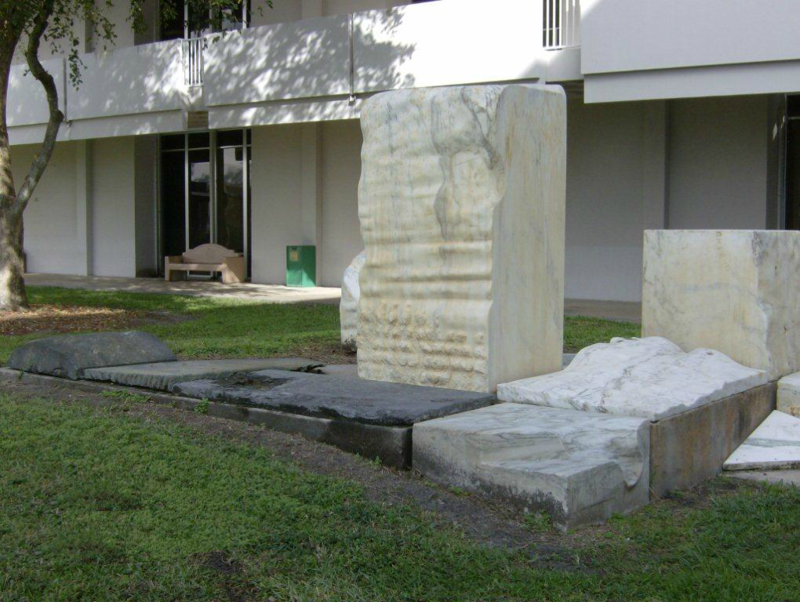 The works were then transported to Lannan's estate in Palm Beach. The garden was designed by Mark Hampton, the Miami-based architect who redesigned the art deco movie theatre in Lake Worth which now houses the Lannan Museum [at that time]. 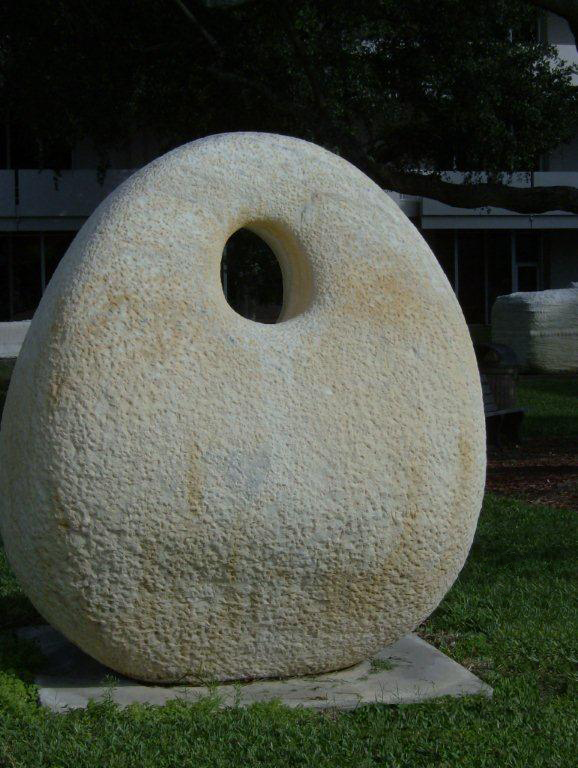 Could it have been as the result of this symposium that Mr. Lannan bought his sculptures? Meilach, Dona Z. 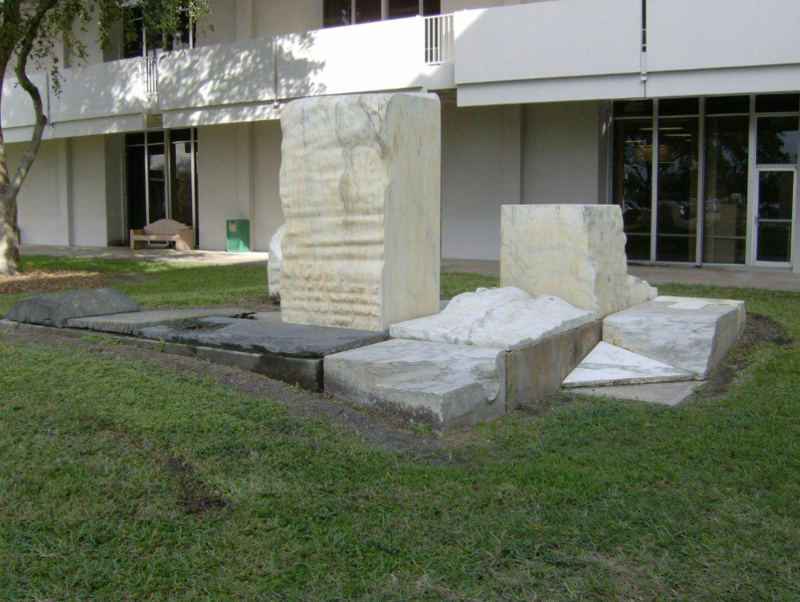 Contemporary Stone Sculpture: Aesthetics, Methods, Appreciation. 1970. - Archives NB1208.M441987. In this book all three sculpturors were mentioned with a few photographs of some of their work. 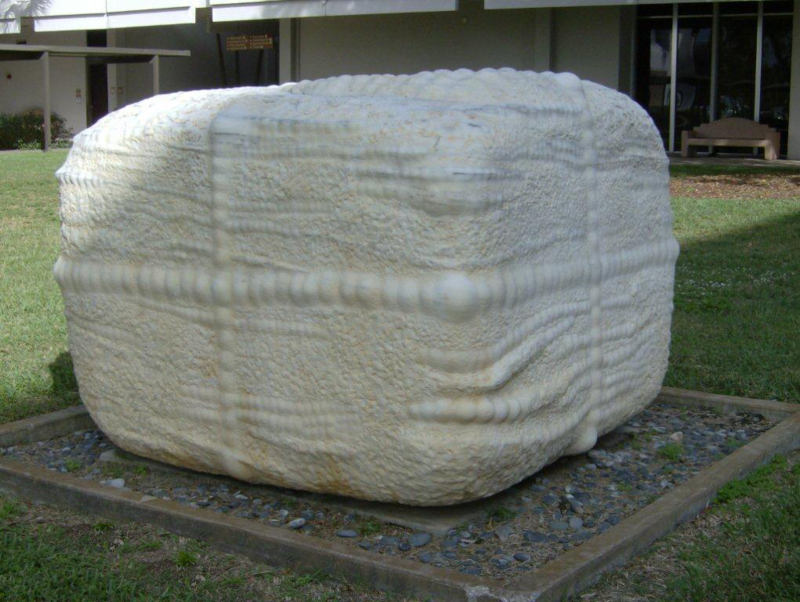 This sculpture is 6' bu 6' by 4'10'' high and it weights about 20 tons [Contact, Dec. 1986]. 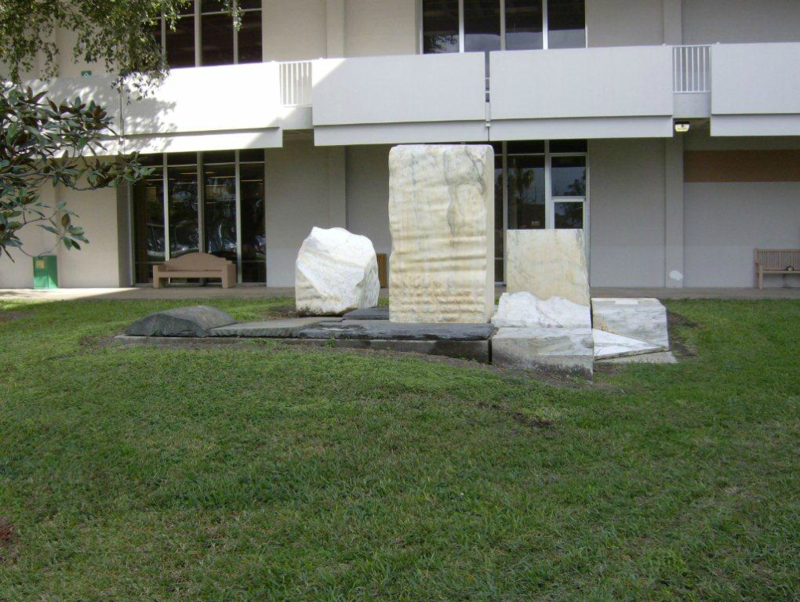 This sculpture is located at the south side of the Duncan Theatre. 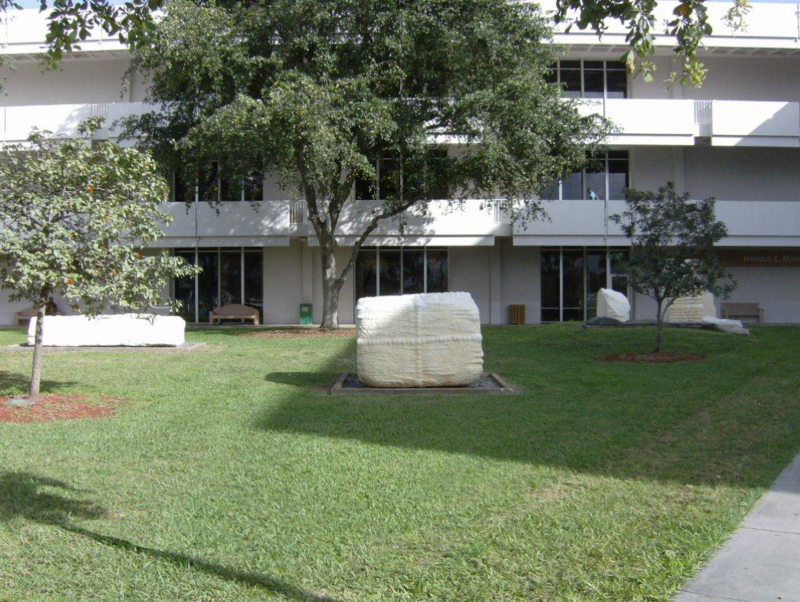 It was one of the sculptures donated to the college from the Lannan Collection. 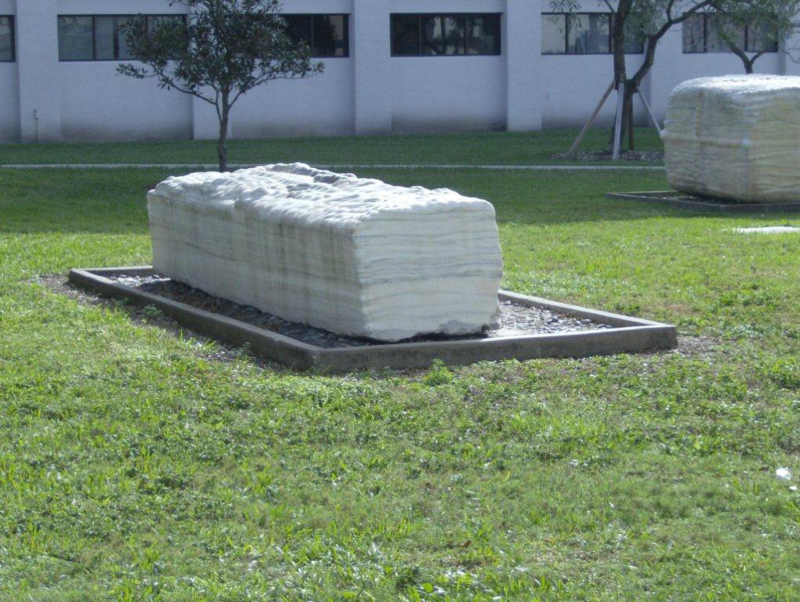 Notice that the sculpure looks like a different one depending on the angle that the picture was taken of the sculpture. It is all the same sculpture!